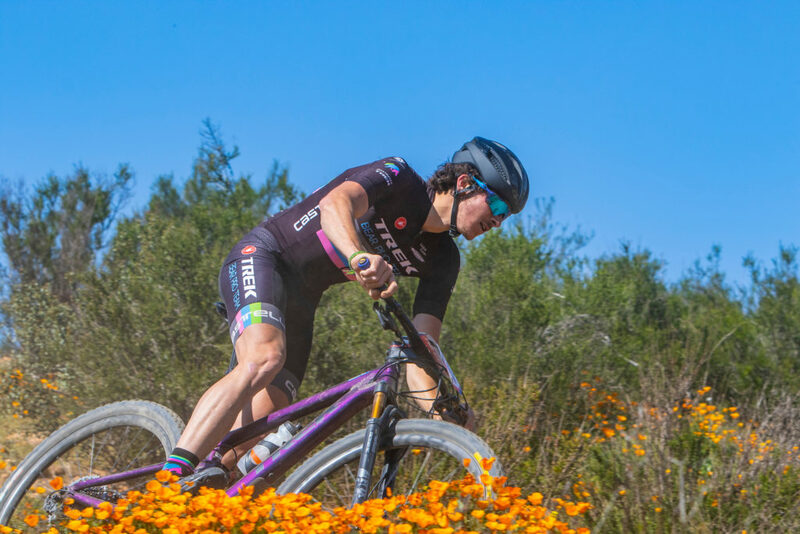 the second stop of the spring UCI racing in California was in Vail Lake, and amid a superbloom both Noah Hayes and Max Mcfadden found a bit more early season form. Max ended up 19th in Fridays Short Track, and after suffering a hard crash with three laps to go finished 18th in the XCT. Noah suffered several crashes in the ST racing and finished 71st , then fought back with a solid 64th on Sunday! Looking forward to both Sea Otter and Bear Mountain in the upcoming weeks for these two! Ken Ro- 3rd at Sundays CCCX in Monterey, Great job Ken! Sea Otter is on the horizon! Beverly Chaney made a quick shift to gravel last weekend and WON her category at the Panoche Hills SuperPro! SO MANY PICTURES OF WILDFLOWERS RIGHT NOW! Looking forward to the NICA racing returning this weekend at Laguna Seca!